Photo © 2016 Brian Luther. Usage restrictions: Photos may be used without prior permission for strictly personal use or classroom instruction. Prior permission is required for any other usage, whether educational, non-profit, or commercial, including books, printed material, computer programs, web sites, or any use in which the photos will be publicly accessible. Contact the photographer. Locality: U.S.A., Washington, Chelan County: Eagle Creek. 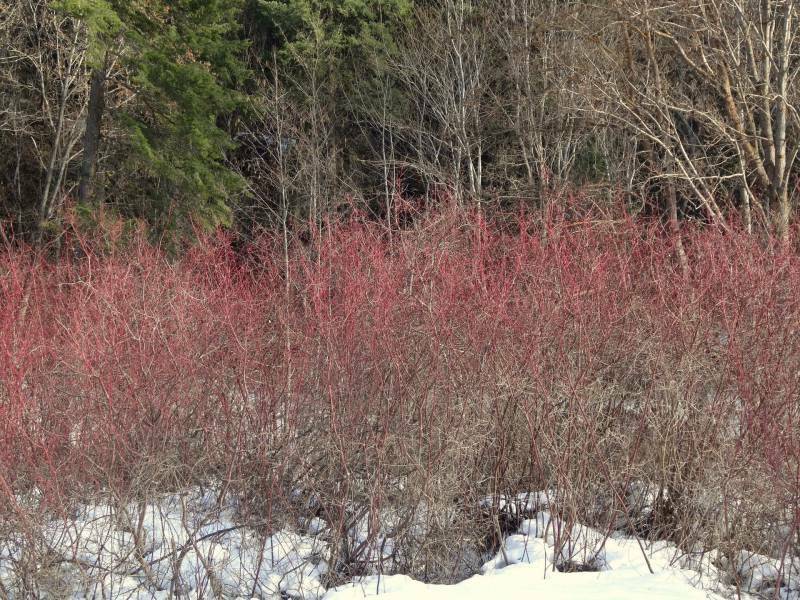 Comments: Typical late winter reddish color of branches, just before early spring growth begins.